A tri-color twist on magnetic therapy! 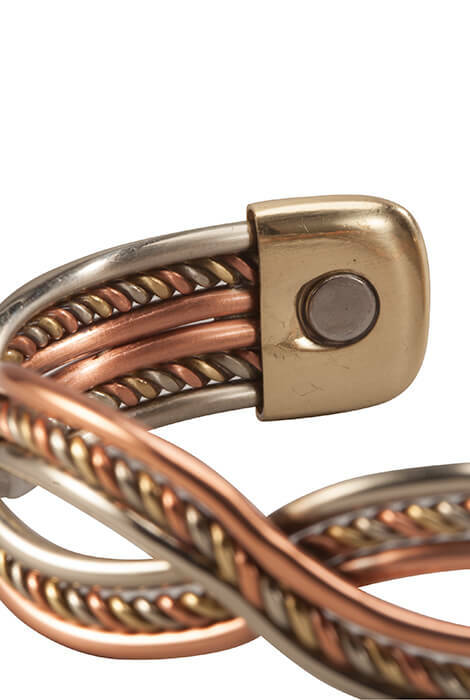 Copper braided bracelet is as beautiful as it is beneficial. 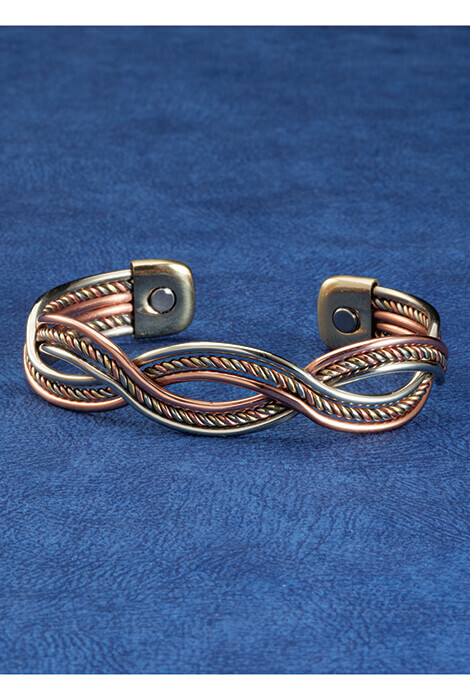 Two 1700-gauss magnets are hidden at the ends of this flexible cuff to help promote health and healing. Magnet therapy has long been used by many to maximize circulation while minimizing the stiffness, fatigue and pain associated with arthritis, carpal tunnel, and other conditions. Flex-adjust cuff is 5/8" wide and approx. 7" around; one size fits most. 95% copper/5% magnet. Wipe clean with dry jewelry cloth. I wear mine a lot and have had several people comment on how pretty it is. I don't know about the health benefits but am so glad I bought it just because it does look so nice. 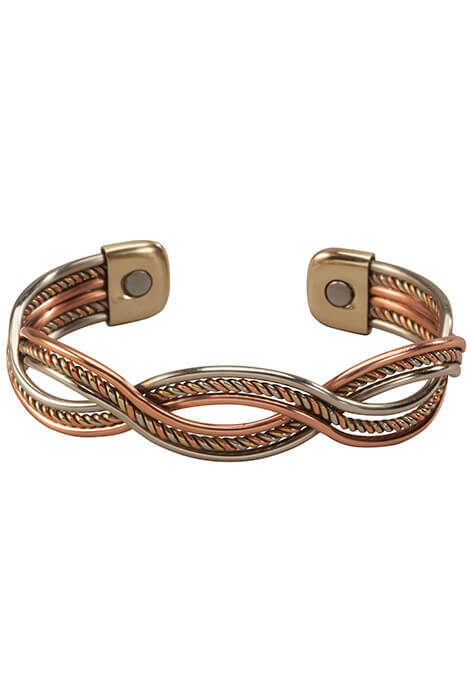 I wanted a copper bracelet with good styling and this bracelet appears to meet my needs.